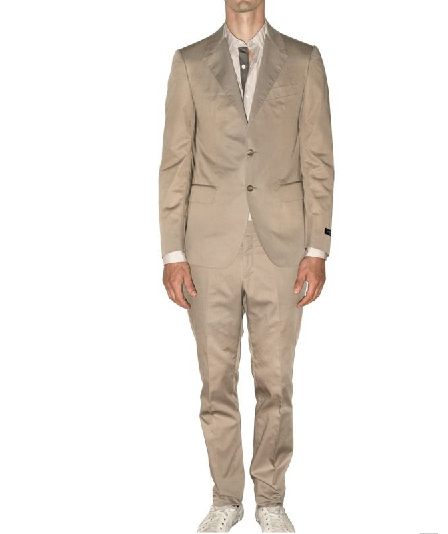 Change up your black suit style with this two button beige suit by Lanvin. 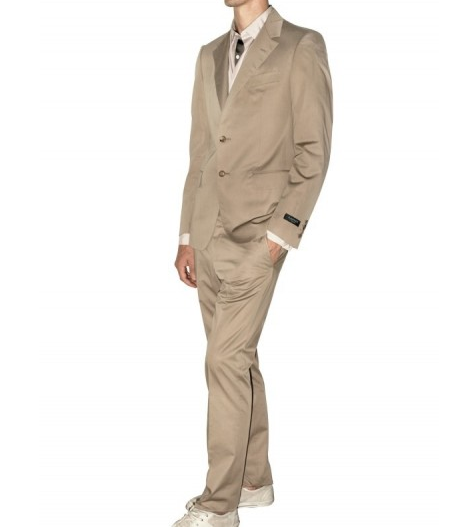 Featuring a notched lapel, four button cuffs and a concealed button closure and zip on the trousers, you’ll be setting the trend this holiday with this beige number. 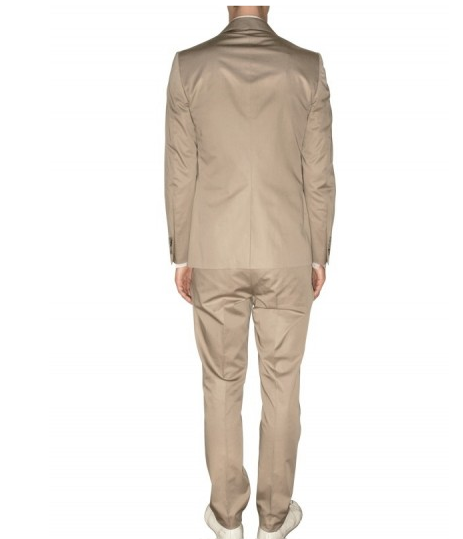 Get yours online from Luisaviaroma.